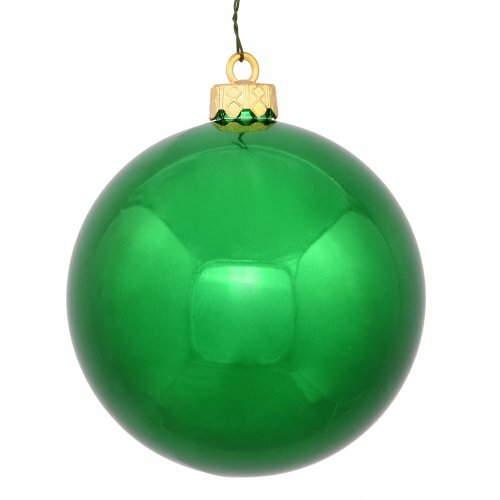 3″ Green ball ornament features a shiny, UV resistant finish. The secure cap and shatterproof design make this ornament the perfect addition to your collection. Comes 12 per bag. Vickerman company is an importer and wholesaler of quality seasonal decorations including traditional and realistic artificial Christmas trees, wreaths and garlands. In addition the company offers other realistic looking holiday foliage, Giant Christmas trees and a full line of unique display trees.